Infused by a multifaceted symbolism, this work approaches a visualisation of the phenomena of human life and Mother Nature, establishing a unique level of perception. 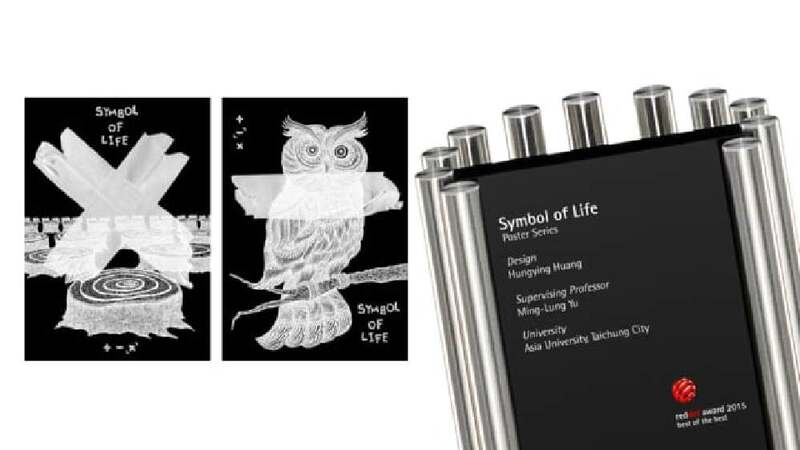 The posters of “Symbol of Life” are designed with detailed, entirely hand-drawn illustrations, which captivate the viewer. The symbol “+” stands for the increasing of life and death, the sign “–” represents deletion, the fading of life, while the “x” symbolises the extending and the multiplying of something. The dark background embodies the things we do not pay much attention to but which are nevertheless present. The tape, which appears to be made from negative film, is a design element with a multifaceted symbolism. It is a reference to the “wounds” of animals and plants. Metaphorically speaking, it shows the different aspects of life. The design of these posters successfully reflects the various faces of life in a symbolic manner. The posters are a multifaceted expression of the phenomena of man and nature. The illustrations of animals and plants are realised to a high level of quality and possess a unique beauty and expressiveness. Their elaborate details are an expression of perfect craftsmanship.